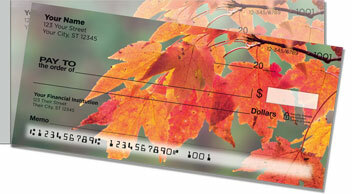 Let your checkbook mark the change of season by choosing Fall Leaves Side Tear Checks from CheckAdvantage. Our artist gave these digital photographs a stylized treatment, softening the outlines and blending their rich palette of autumnal hues. 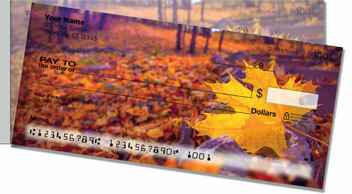 The result is a stunning set of personal checks that celebrate fall colors in all their fiery glory! 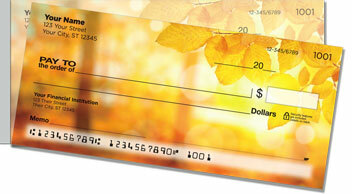 But what you'll love the most about your new side-tear checks is how easily they separate from the pad. 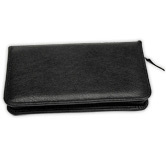 It's thanks to the short perforation on the left, which gives you superior leverage for a trouble-free tear. No more accidental rips! 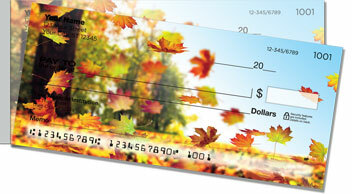 You can also order this lovely design as a set of return address labels to match your new seasonal checks. Make them yours today!